Heat oven to 300°F. In small bowl, mix avocado, lemon peel, lemon juice, 1/8 teaspoon kosher salt and 1/8 teaspoon pepper. Cover and refrigerate. Microwave corn as directed on box. Pour into medium bowl. Meanwhile, in 10-inch nonstick skillet, cook sausage over medium heat, stirring frequently, until thoroughly cooked. Drain on paper towels. Wipe skillet clean. Add sausage to corn. 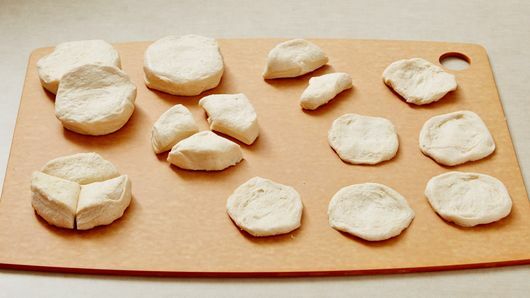 Separate dough into 8 biscuits; cut each biscuit evenly into 3 wedges. Press or roll each wedge to form 3-inch round. In same skillet, heat 1 1/2 teaspoons of the oil over medium heat. Add 6 biscuit rounds; cook 1 to 2 minutes on each side or until golden brown and cooked through. Place on ungreased cookie sheet; keep warm in oven. 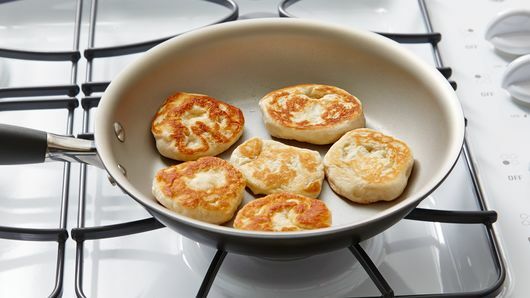 Repeat with remaining biscuit rounds, adding 1 1/2 teaspoons oil to skillet for each batch. 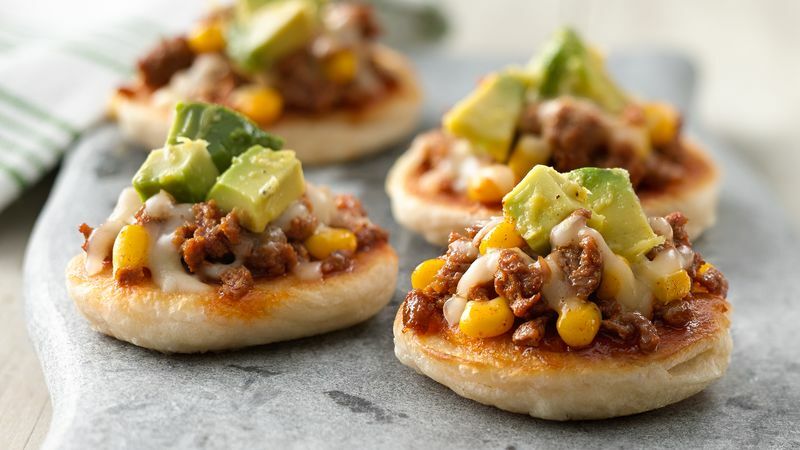 Top each biscuit round with 1 tablespoon sausage mixture and 2 teaspoons cheese. 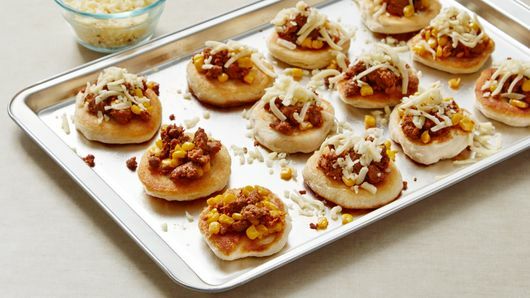 Bake 4 to 5 minutes or until heated through and cheese is melted. Top each evenly with avocado mixture. Serve warm.